Conservationists have warned the marine mammal, vaquita porpoise, faces its 'final countdown to extinction' - as its population has drastically declined. 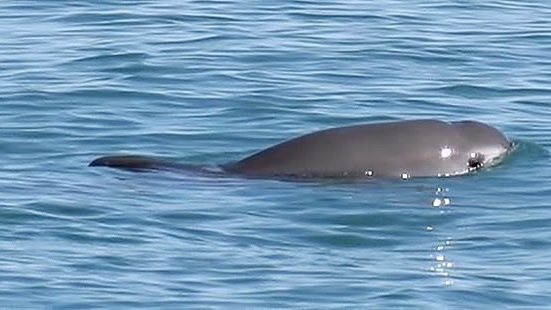 According to the animal conservation charity, WWF, porpoises, which live in the northern Gulf of California, are often 'caught and drowned in gillnets used by illegal fishing operations'. Mexican authorities have since announced plans to help save the remaining species, using buoys to mark out a reserve for the porpoises, preventing fishing vessels from entering. Earlier this month, marine conservation organization, Sea Shepherd, discovered a dead vaquita which had been caught in a gillnet - which the charity describes as 'death traps' to the animal. Sea Shepherd claims the illegal fishing gear was used to catch the totoaba fish, whose swim bladders are illegally sold as medicinal soup in Asia, and threatens the vaquita porpoise with 'imminent extinction'. According to PHYS, Mexico's representative for the center for biological diversity, Alejandro Olivera, described the authorities actions as 'not up to the level of urgency that is required'. "With 10 vaquitas left, what is needed is total protection and the immediate elimination of illegal nets from the vaquita's habitat," he added. Liam is a writer and poet from the north of England. His work has been featured in Gay Times Magazine, Attitude Magazine, Oh Comely, and The Huffington Post. He loves vegan mac and cheese more than anything else in the world.